The Wedding Industry Awards are designed to recognise the cream of the industry across the nation. In turn this will help and assist future couples who are arranging their wedding day. The wedding photography category is always strongly contested. It always has the most entries compared to all the other categories. I am therefore immensely proud to have reached the regional finals (South West of England) for three consecutive years, 2017, 2018 and 2019. I have just received my detailed feedback from couples weddings I photographed last year. Very happy to share my 2019 feedback with you below. Ellie Jones (Murray), Phil is amazing, so kind and really easy to work with. He is very talented and will recommend to everyone I know. Laura Beckett (Timings), Amazing service, fantastic photos. Very professional from start to finish, ensuring we got the best quality photos. Adam Thomas, Phil was an absolute pleasure to have at our wedding. He blended in with our guests and was very friendly. His presentation prior to the wedding was amazing and that’s why we chose him. Throughout our day he was helpful ie prepping the bride in her pictures, making sure the guests were involved in our photographs. When we saw our completed pictures we were truly blown away. I will recommend Phil to anyone of our friends and family for future weddings. Phil Webb was brilliant. Anna Pepper (Chadwick), Phil photographed our wedding and as we wanted natural photos he captured our day to perfection from the laughter to the tears he did it all with passion and elegance. Phil did amazing things and saw the perfect opportunity to take the most perfect photo especially one photo of myself with a picture of my late father who was a big part of my life and day but Phil made the perfect photos to show him all in it. My husband and I were blown away with the end result that Phil captured of our day. Gemma Pavey (Roberts), Phil went above and beyond to get all the photos we wanted and more. He was incredibly professional, but personal at the same time. He is very knowledgeable in the field of photography, and made us feel at ease, knowing that we were getting the best shots- and memories- of our day. Catherine stirrup (Brint), Love the photos especially those which are artistic using the camera and lighting. Hilary Long (Clevely), Phil went above and beyond his duties on our wedding day – helping with bridesmaids bows on dresses , taking stickers from bottom of shoes. Really friendly and easy to get along with from the start . Our photos are absolutely stunning – so many creative ones as well as the standard posed for shots … photo of us in the free standing bath in bridal suite was amazing (;dressed obviously ?) Everyone who has viewed our photos so far have amazed . He deserves to win this no doubt. Emma Ford (Catherall), Phil was absolutely amazing in both the planning and on the day. Knowing the venue so well he walked us through the smallest of details, providing excellent consultancy and giving us a special insight into our day. On the day he was brilliant – calm, professional, and always on hand to help. The time my husband and I had with him taking our couple shots was very relaxed, so we could just enjoy the moment. We – and all of our family – love the final pictures! James Hardwick, Phil Webb was an absolute pleasure to pick as our photographer on our big day. He did everything perfectly u honestly couldn’t ask for better. His vision and understanding is what made our day special and in his hands we felt very comfortable. Thank u ever so much Phil Webb. Simon Allen, Phil Webb’s work was phenomenal right through from the pre-wedding preparation through to the presentation of his completed work at the end. His professionalism and experience shone throughout the whole day, to the point to where we knew the one thing we didn’t need to worry on the day was the photography! Phil’s ability to capture “that moment” was truly outstanding and will mean that the wonderful memories we have of that day will remain with us forever. Anonymous, Phil Webb is an amazing and professional wedding photographer. On our day he arrived on time and communicated excellent with guests on arrival. His professionalism exceeds to a very high standard that you can see on the printing of photographs and the quality of the album is top quality. Another thing that I love from Phil was when he was going to take pictures he will tell you how to pose properly for the picture, my experience was 100% good and worth having Phil as a photographer. 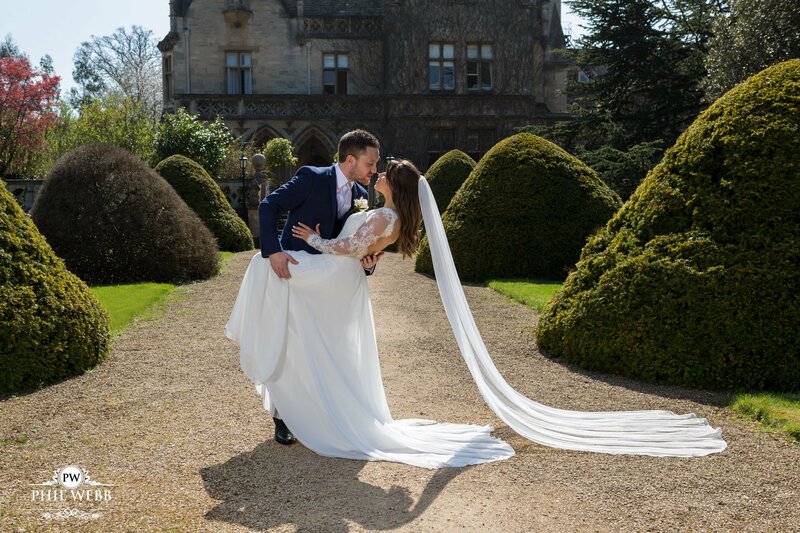 Abbey Williamson (Jennings), Phil was extremely professional and knew exactly what was needed to make me and my husband feel comfortable and happy. He produced some amazing photos for us to remember our day. His attention to detail is incredible and what he can do with a light, some patience and excellent photography skills is more than impressive! We would highly recommend Phil and could not be happier with the photos he captured. Yvonne Johnson (Jones), Phil was very enthusiastic even after being at our venue 3 days in a row. He went out of his way to accommodate the kind of photo’s we wanted. Hannah Ferry (Simmonds), Phil was professional and kind throughout our work with him. 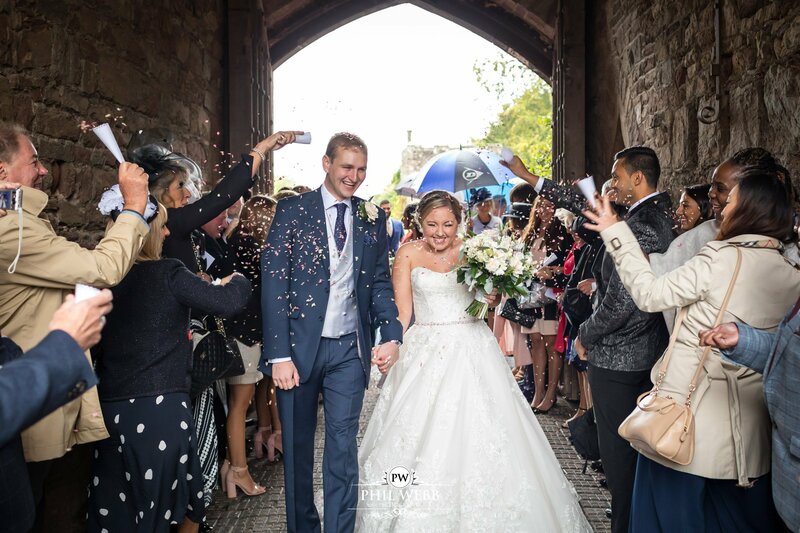 Phil demonstrated his credible experience and made us feel at ease knowing that he was working hard to ensure we had the best photographs of our special day. All of our family and friends have commented on our beautiful photos and we could not be happier with them. We are truly grateful to Phil for giving us so many beautiful and special photographs. Kimberley Gittins, He was utterly professional and blended into the background to allow us to enjoy the day. Extremley approachable and passionate meant every question I had was answered and put any stress I had to bed immediately The quality and style of photographs were second to non. His turn around time was unbelievable considering the amount of images that was taken. All my quests commented on how they didn’t even notice him most of the day. We would 100% recommend him to anyone. Sarah Hughes (Morgan), Phil was very sensitive to what we wanted and a great communicator. He was reassuring and gave great advice. He did the wedding photos for my friends wedding and she had recommended him to us. Due to the cost of wedding photography we only wanted the pictures on a USB and he was happy to do this for us. We would definitely recommend him. Alice Scott (Smart), Phil was professional and friendly from start to finish. He replies very quickly to emails, which helps when planning a wedding. He gives excellent advice. On the wedding day Phil was amazing! He impressed everyone! Clearly he has an eye for superb photos, which we received back in a week and a half! So quick! On pick up we were able to see all of the photos and video to our first dance song. He gave up a lot of his time to show and explain everything. We love our photos. Isobel Hunter (Butland), Phil was amazing. So professional, friendly, and blended seamlessly into the wedding. He was full of good tips and was happy to stay late when we ran over on time! We would recommend him heartily. Amber Hinds (Dougall), Phil worked around us all so well. With all due respect he didn’t get in the way which for me was important as too many people around would’ve stressed me out! He’s got fantastic photos which we cannot wait to share with family. He organised group photos efficiently and clearly has great experience, even had some tips for getting the tricky buttons done up on my dress!! My brother had Phil for his wedding and when my sister gets married she will also have him. 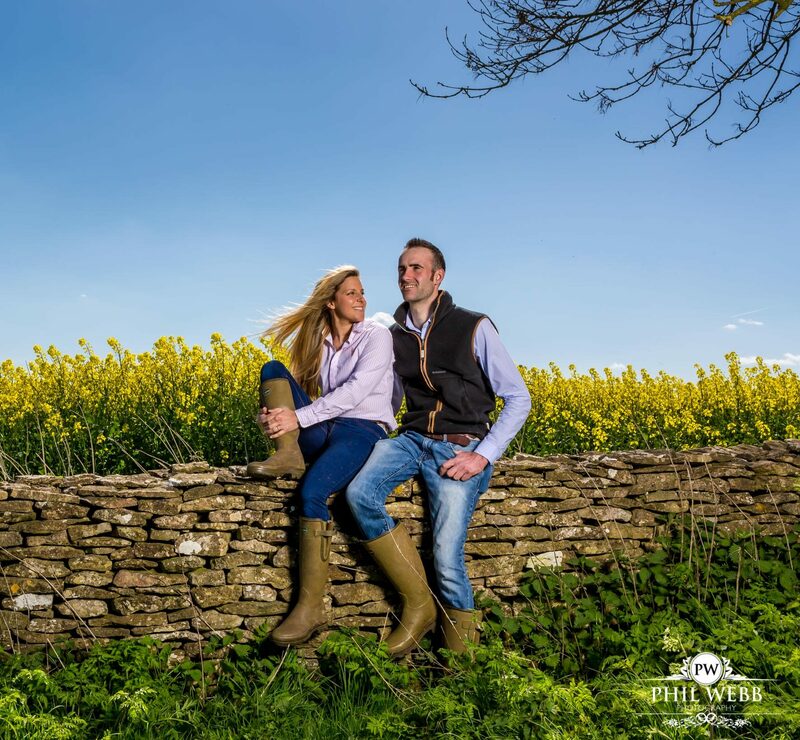 Charlotte Gelsthorpe (Scrivens), From the first time we met Phil he was extremely professional and made us feel our wedding was important to him! He spent time ensuring that he met any requirements we had during the day as well as using his skills set to take photos which were incredible! To then be invited to view all of the pictures with no time limits as well as constructing a slide show to our first dance was above and beyond! Rebecca Marks (Leech), Phil was fantastic on our wedding day & we couldn’t fault anything. His attention to detail with the photos were brilliant and he was so friendly and professional on our big day. We are so happy we had Phil as our photographer and would recommend to anyone getting married! Rachael O’Neill, Phil was fantastic to work with and knew exactly the style of photographs we wanted – he really realised our vision. His communication was clear and consistent and he made us feel very at ease on the day. 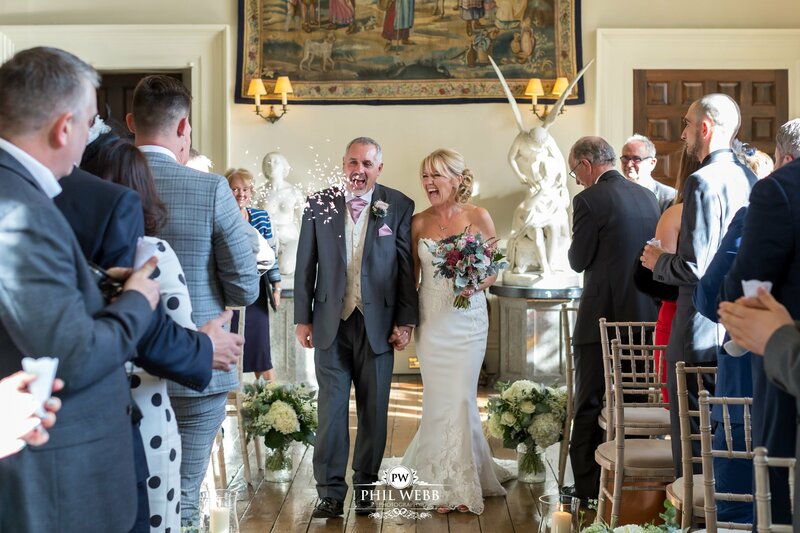 I have had a number of compliments from guests who were present, saying how Phil really captured the wedding, every single part of it. What I really appreciated was how he captured moments without me realising – really giving us that natural style we wanted. I would recommend Phil entirely. Ellie-Jane O’Rahilly (McNulty), Phil made us feel so relaxed and comfortable whilst having our photos taken. We did not know he was there most of the time. Phil was very professional in the lead up and after our wedding. We could not be happier with our photos, They are perfect. James Smith, Phil was excellent from start to finish, a true professional who really cared and went the extra mile to ensure all of our requirements were fulfilled. Lisa Grey (Sirignano),Phil was absolutely amazing and captured the image of our wedding day perfectly. I could not imagine having any more beautiful photos than those that we received from Phil. Plus all our guests loved him too! I have already recommended him to some of our friends who are getting married next year! I can never thank him enough as the memories captured are priceless to us. The main thing we loved was how personal the experience was, despite the busy month we got married in! Thank you Phil.